How many years has your business been in Siouxland? We have been in Siouxland since December of 2017. What services do you offer? We provide outpatient counseling and therapy and trauma therapy services. How many years has your business been a member of the Siouxland Chamber of Commerce? We have been members of the Siouxland Chamber since January 2018. What do you enjoy most about being a Chamber member? 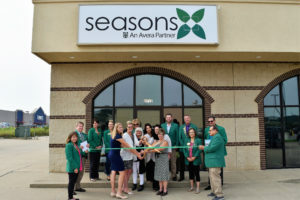 We enjoy the opportunity to share what we do and the help that we provide at Seasons. What is your favorite Chamber event/memory? 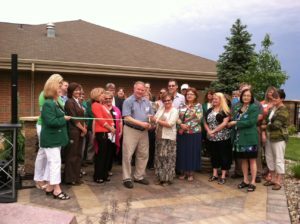 We enjoyed our ribbon cutting event this past August. What is a fun or surprising fact about your company/business? 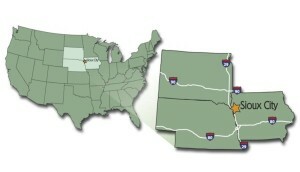 Seasons provides behavioral health services in 19 counties in Northwest Iowa, with office locations in 11 counties. The Sioux City office is our newest location! 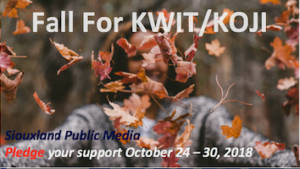 October 24th through October 30th is the Siouxland Public Media KWIT/KOJI annual Fall Fund Drive. This is a great time for businesses and individuals to learn more about what Siouxland Public Media does, volunteer and pledge their support. They have a few openings for individuals to volunteer to take phone calls and be on the air. If you are interested please email, Rachael Keokenchanh. 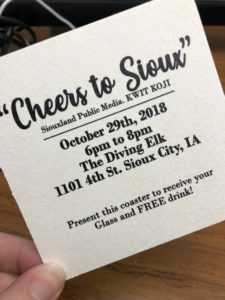 As part of their Fall Fund Drive efforts, this year marks their first “Cheers to Sioux” event. They have rented the Diving Elk for their exclusive use on October 29, from 6:00 PM to 8:00 PM. Tickets to this event are $15 and include appetizers, 1 drink, and a commemorative 16 oz. pilsner glass! The menu is wings, fondue, and hummus with veggies and 1 drink of choice (including a specially curated event drink)! 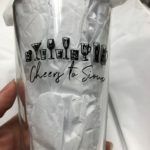 Additional drinks and event t-shirts will be available for purchase. Guests who make their annual pledge or one-time gift of $120 or more will receive the t-shirt as a THANK YOU! For event details and to buy your tickets, please visit them on Facebook. What services do you offer? For more than a century, HR Green has provided exceptional engineering, technical consulting, and management services to clients in the following markets: Transportation, Water, Governmental Services, Land Development, Environmental, and Construction. What do you enjoy most about being a Chamber member? Getting information about the great things happening in Sioux City. There has been a lot of development and growth that is continuing to improve the reputation of the City. What is your favorite Chamber event/memory? We have become more involved with the Chamber golf outing the last few years. This has allowed us to network with City leaders and growth that is continuing to improve the reputation of the City. What is a fun or surprising fact about your company/business? In the early 1960s as HR Green was celebrating its 50th anniversary, founder Howard R. Green had seen his one-man office grow to a multi-million dollar corporation. Across the state of Iowa, communities jumped at the bait of federal funds and HR Green engineers were called in to design new plants. HR Green engineer Herb Berry was in residence in Sioux City supervising the design and construction of the first sewage treatment plant ever built on the Missouri River. In addition, HR Green is honored to be one of the nation’s longest operating engineering firms. On March 10, 2018 we celebrated our 105th anniversary. How many years has your organization been in Siouxland? We have been in Sioux City since 1889! What services do you offer? We offer programs and services that promote the humane treatment of animals in the Siouxland area including: adoption, pets for seniors, sponsor a pet, spay/neuter assistance, veterinary assistance, pet food bank, emergency sheltering, breed rescue, pet facilitated therapy, cruelty investigation, pet surrender, lost and found, microchipping, end of life services (euthanasia/cremation/pet loss support). How many years has your business been a member of the Siouxland Chamber of Commerce? We have been a member of the Siouxland Chamber for 23 years. What do you enjoy most about being a Chamber member? 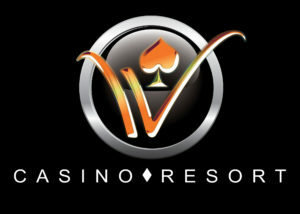 We enjoy receiving the weekly updates that include the all the happenings going on. What is your favorite Chamber event/memory? Our favorite Chamber event was our memorial park chamber dedication and party where we had the Chamber Ambassadors and our volunteers, donors and the public all together for a celebration party. What is a fun or surprising fact about your company/business? We touch the lives of many more people and families than we do pets with our many programs and services that are to help keep families and pets together! How many years has your business been in Siouxland? We have been in Sioux City for 60 years and firm wide we are celebrating our 120th anniversary. What services do you offer? 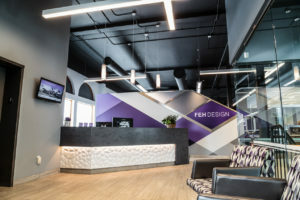 FEH Design is an architecture, structural engineering and interior design firm. What do you enjoy most about being a Chamber member? We enjoy the sense of community the Chamber provides. The weekly emails help keep us in the know! What is your favorite Chamber event/memory? 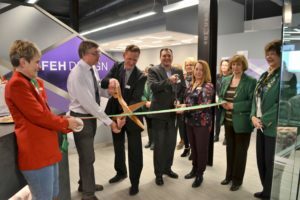 Our favorite Chamber event was our ribbon cutting in February. The Chamber made us feel very welcomed and we were honored to have them tour our new space. What is a fun or surprising fact about your company/business? 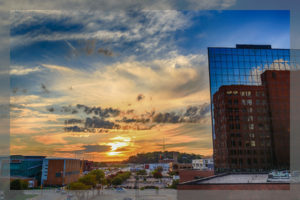 FEH has designed several iconic Sioux City buildings – Tyson Events Center, Sioux City Orpheum, MidAmerican Energy Building, Sioux City Convention Center and is currently working on the restoration of the Warrior Hotel and Davidson Building. Our new office is located in the former MacBehrs Sports Bar. We kept “Uncle Stinky’s Booze O Rama” glass sign for our break room! The Siouxland Chamber of Commerce presented the W. Edwards Deming Business Leadership and Entrepreneurial Excellence Award to businessman Doug Palmer at the 33rd Siouxland Chamber Annual Dinner this evening. In front of a packed house, Palmer was recognized for his decades of entrepreneurial initiatives and business excellence, as well as his countless volunteer contributions to the Siouxland community. The annual award is presented to an outstanding business executive and exceptional community leader in the tri-state region during the Siouxland Chamber’s Annual Dinner meeting hosted each fall at the Sioux City Convention Center. Palmer has served as CEO of Tegra Corporation, the parent company of Big Soo Terminal and Sioux Rubber and Urethane, for 35 years. Additionally, he has an ownership interest and advisory role in Palmer Candy and Lite Form Technologies. He has also served on the Board of Directors of Security National Bank for many years. Palmer is identified by many as one of the key strategists in designing, developing, and delivering the successful referendum that allowed Sioux City to invest millions of dollars in new public-school buildings at a time when the infrastructures of the existing school facilities were no longer adequate. The local program was so successful that it was later adopted by a state-wide initiative in Iowa. 1995 – William Dible, Terra Industries Inc.
2001 – Robert Peterson, IBP, Inc.
2002 – Eldon Roth, Beef Products, Inc.
2007 – Leonard Gill, LP Gill, Inc.
2013 – Mike Wells, Wells Enterprises, Inc.